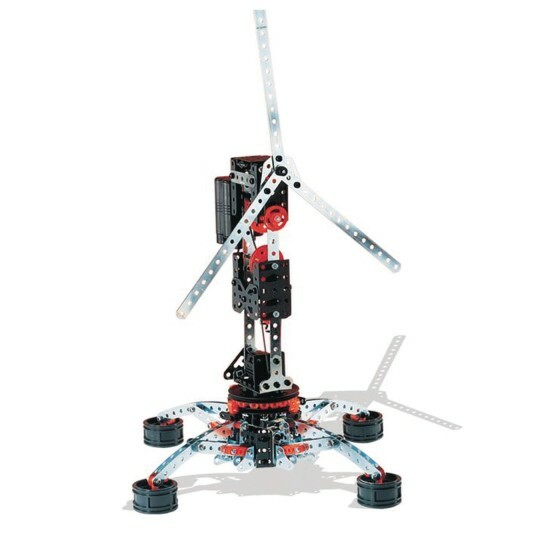 Unlock endless construction possibilities with a 6V electrical motor as you build 1 of 25 motorized models! 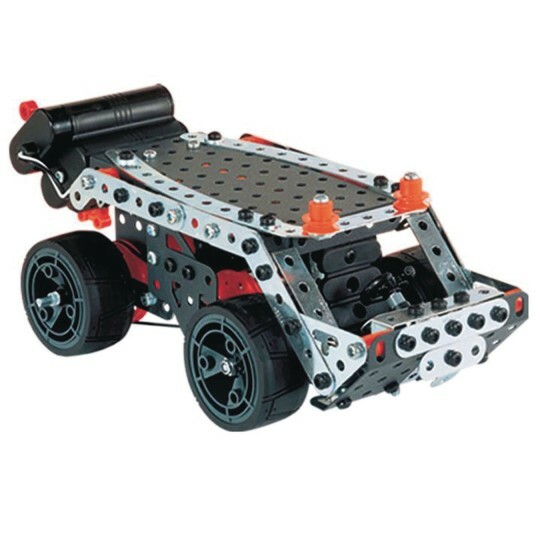 Made with 638 real metal parts, the Multimodel kit utilizes 2 tools to build 25 unique quality models. 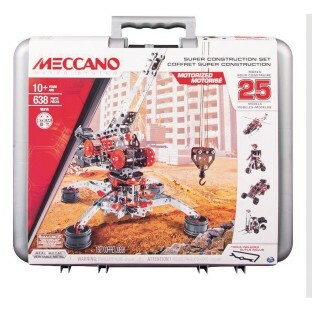 Includes: 638 parts, 6V electrical motor, 1 carrying plastic case with storage compartments, 2 real tools, and instructions. Build one model at a time. Ages 10+.